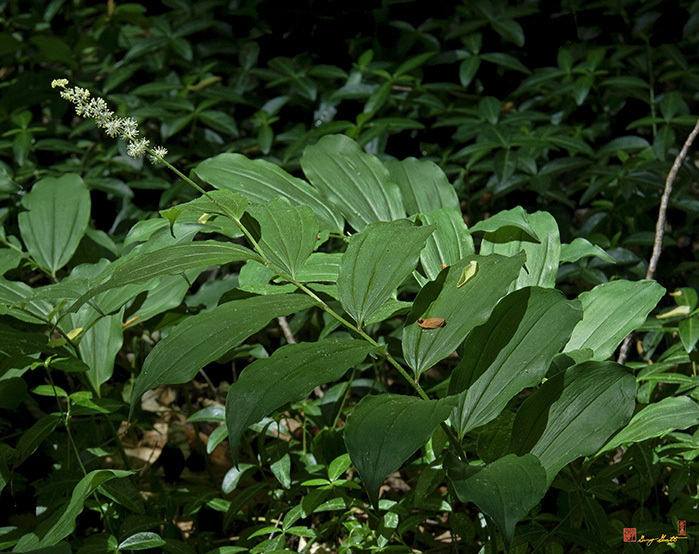 2007 Photograph, Feathery False Solomon's Seal or Solomon's Plumes (Maianthemum racemosum ssp. racemosum (Smilacina racemosa), Asparagus Family Asparagaceae), similar to true Solomon's Seal, but flowers at tip of stem instead of at leaf axils. Fairfax Villa Park, Fairfax, Virginia, © 2018.